Home › Share Salvation › Jesus Is Coming for a Bride Who Loves Him. Is He Coming for You? Yes, Jesus is coming soon. But, is He coming for you? How can you tell who a person loves? That’s easy…you can tell by their actions. Examine these three areas to check your love for the Lord. One: They talk about that person frequently. Even if you have never seen the person she loves, you feel as if you already know him, because he is always coming up as part of her normal conversation. Ask yourself: Does Jesus come up in my conversation? How often do I talk about the Lord? Ask yourself: Is Jesus important to me? Who am I seeing instead of Him? Three: They try to please that person. She will learn how to cook; he will do chores he hates; she will dress to please him; he will adjust his hobbies if they interfere with the relationship; she will change bad habits that annoy him (cursing, gossiping, criticizing, and so on); and he will develop good habits that delight her (kindness, patience, faithfulness—just to mention a few). Ask yourself: Am I doing things that please Jesus? What things am I doing that He hates? Jesus is coming back for a Bride that loves him. Consider this: Would you marry someone you know is not “in love” with you? 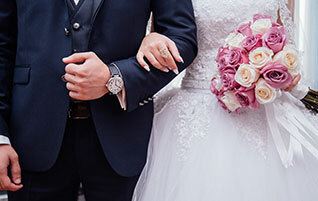 What does the term “Bride of Christ” mean? >>Click here to read the article “Bride of Christ” by Natalie Victoria Davis.